So how do you decide what state/country a book is categorized under? 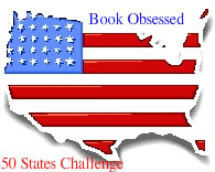 The USA 50 states are listed below, ready to have a book listed with each one ;) I'll add other places as I read them. I didn't do so well with the map for 2011 but will try it again later and will add a link. map? Wait? Did you just say reviews? Yikes! I'll try but....dang! I have a hard enough time reading enough states. Challenge 1: Where Are You Reading? Basic Requirements: read a book set in each state. Labels: 2012, 50 States, challenge-reading, Where Reading? I had no idea there were two challenges. I will have to look at the other one.